There is just nothing better than a handmade gift for the holidays, amiright? I love getting homemade treats that wouldn’t normally make for myself. 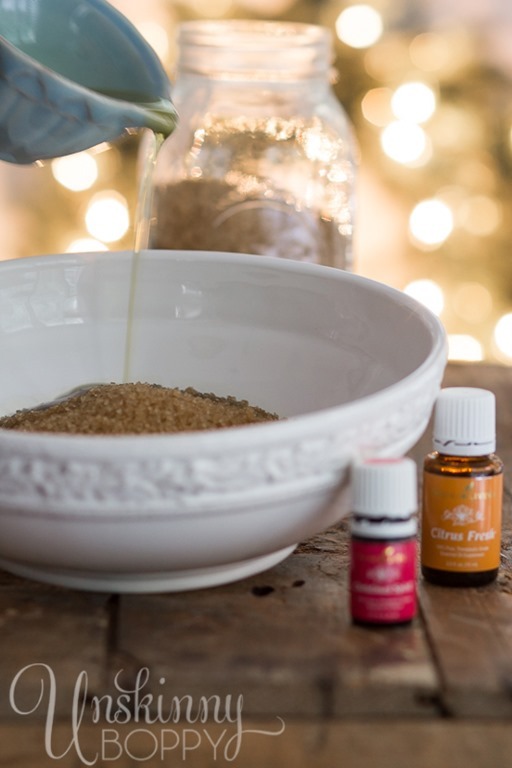 This year is going to be a very handmade holiday around our house, and right up at the top of the Christmas lists are quick gifts that can be made using essential oils. 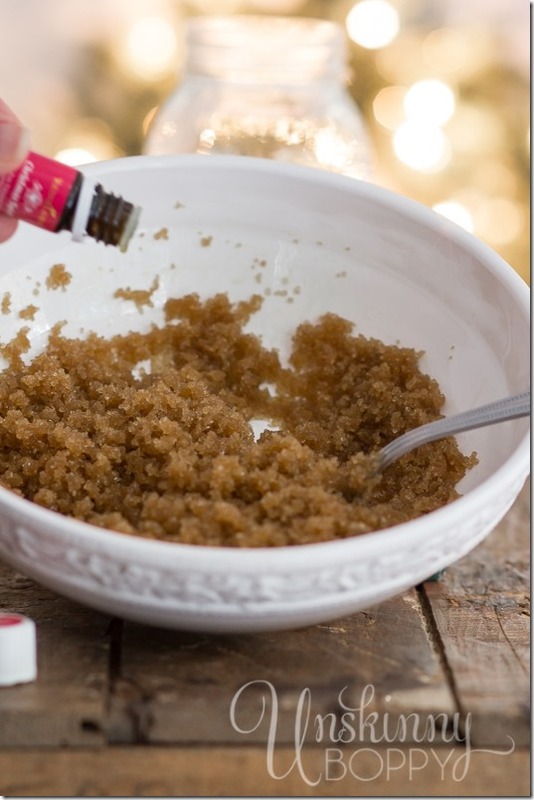 One of my favorite quick gifts using essential oils are sugar scrubs! 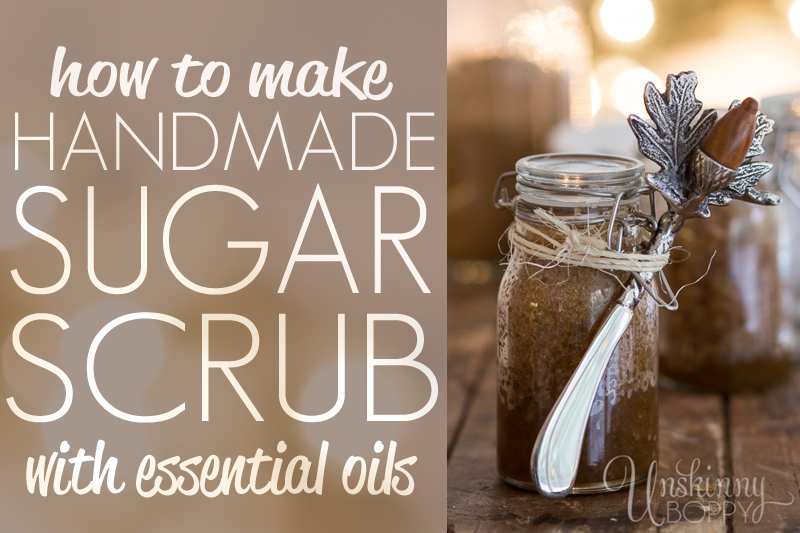 So, today let’s chat about how to make handmade sugar scrubs! I’ve even made a quick Youtube tutorial for this one to help you guys watch the process and see just how simple these are to make. 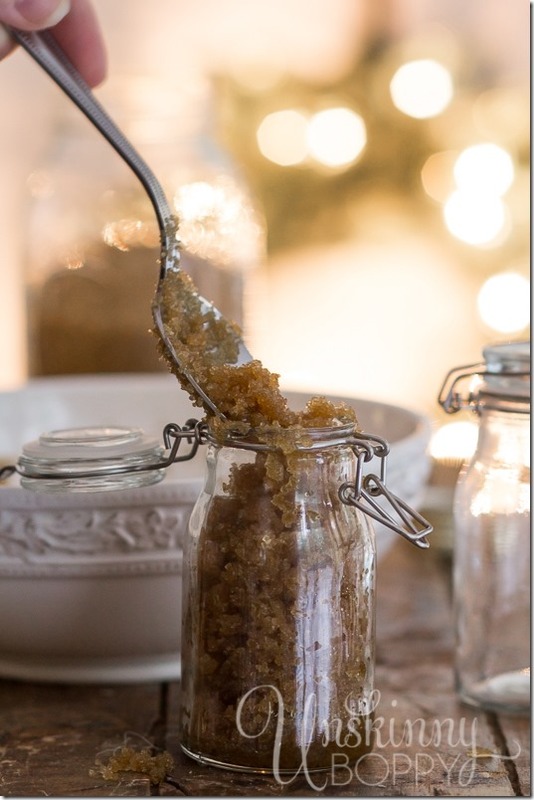 Last year we made a gazillion peppermint sugar scrubs using white granulated sugar for teacher gifts, coworkers and girlfriends gifts. Turbinado sugar grains are very large and gritty. It doesn’t melt very quickly under running water, so you get more scrubbing bang for your buck. Since it’s SO gritty I thought it would make the perfect hand scrub to sit next to the kitchen sink! This recipe will make about four half pint jars of sugar scrubs. You can double, triple, quadrizzle it to make as many of these scrubs as you need. It’s a VERY flexible recipe, so these measurements are approximate. Mix the sugar and carrier oil together until it resembles beach sand, then add your essential oils! Package it in a pretty airtight container. 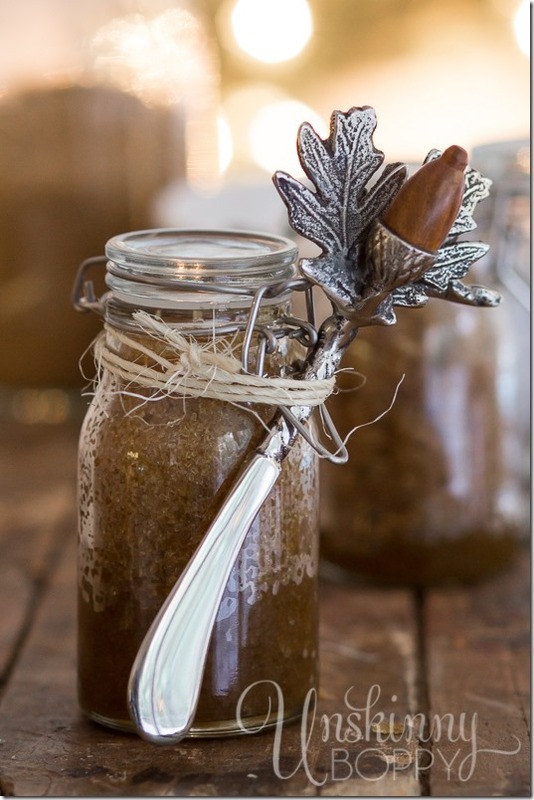 I like to use glass jars with clasps and also these cute little half pint Ball jars. 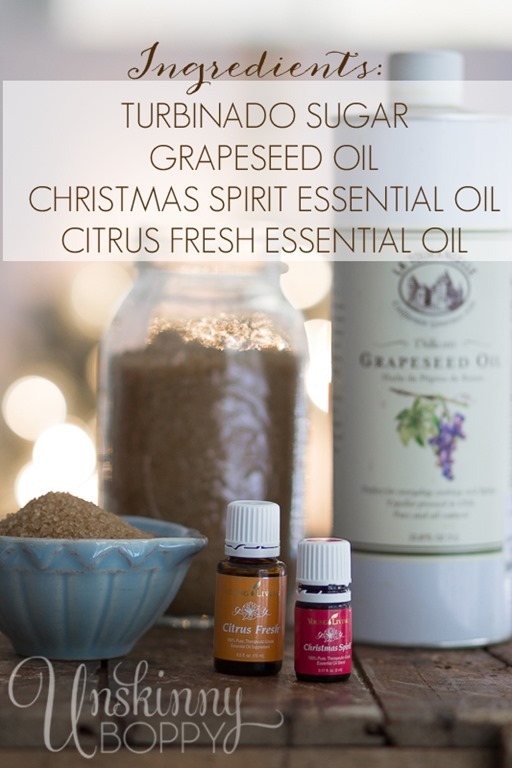 I also save every glass container that comes through my kitchen, peel off the label really easily using lemon essential oil, and reuse it in some way. 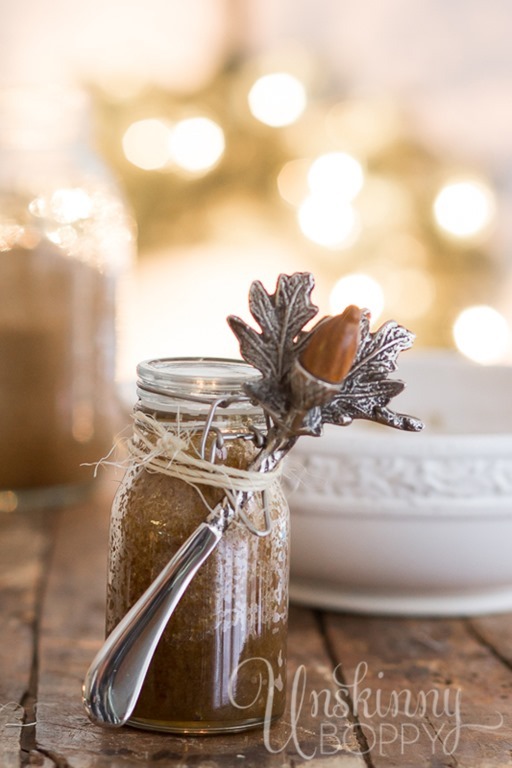 Old spice jars work great for small gifts like this. Then, just add a pretty scooper of some sort and you’ve got yourself a fun gift for just about anybody. I found this acorn and oak leaf spreader at Durbin Farms in Clanton, and though it would make the perfect sugar scrub scooper! Just slide it down into the clasp part and tie it up with a string. Simple! 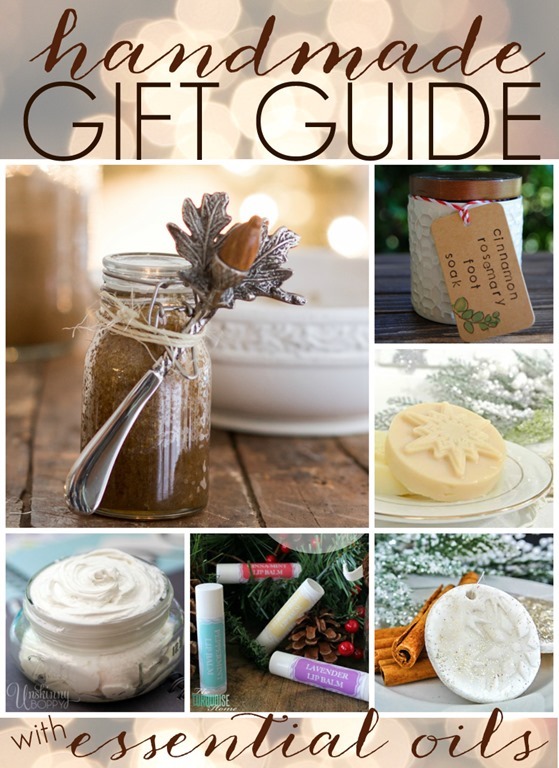 Be sure to add a label on the jar so your recipient knows what they are getting! You can find lots of cute Avery labels these days, and you can even print your own designs at Avery.com! It’s easy! Here is another project where I talk about how to print Avery labels for DIY Homemade Bath Salts. 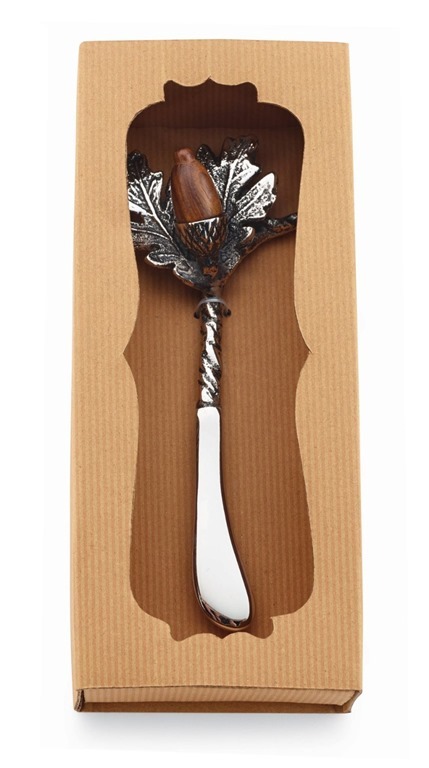 For those of you wondering where I bought my cute acorn and oak leaf dip spreader—I got it at Durbin Farms in Clanton, but I found ONE on Amazon! It’s made by Mud Pie, so you might be able to Google it to find more. I LOVED this little spreader, and just had to buy it when I saw it. Now, here is the exciting part! Be sure to check out the other great ideas featured at my friend’s blogs today. 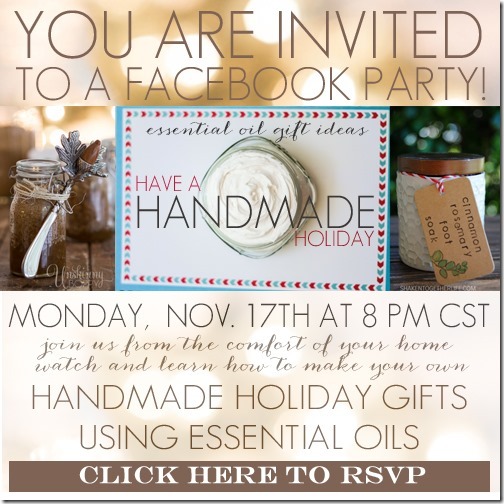 We’ve assembled a whole bunch of handmade gift ideas so please hop around to all of our blogs and check out the great gift ideas using essential oils this holiday! 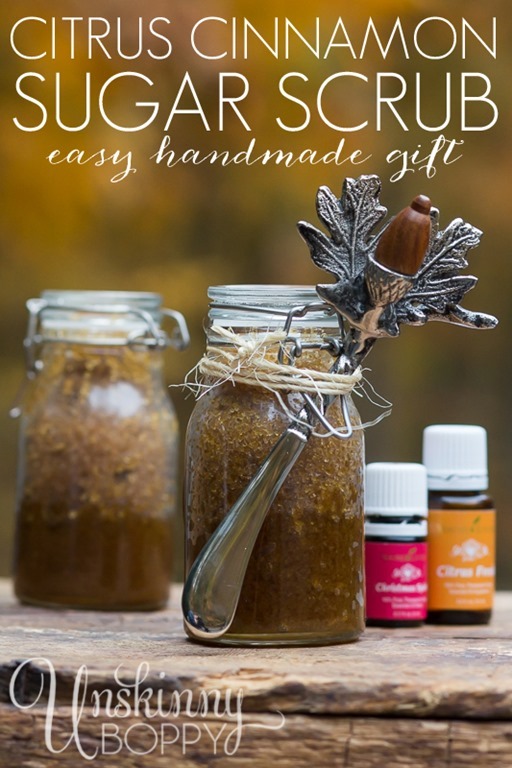 I look forward to making ALL of these! 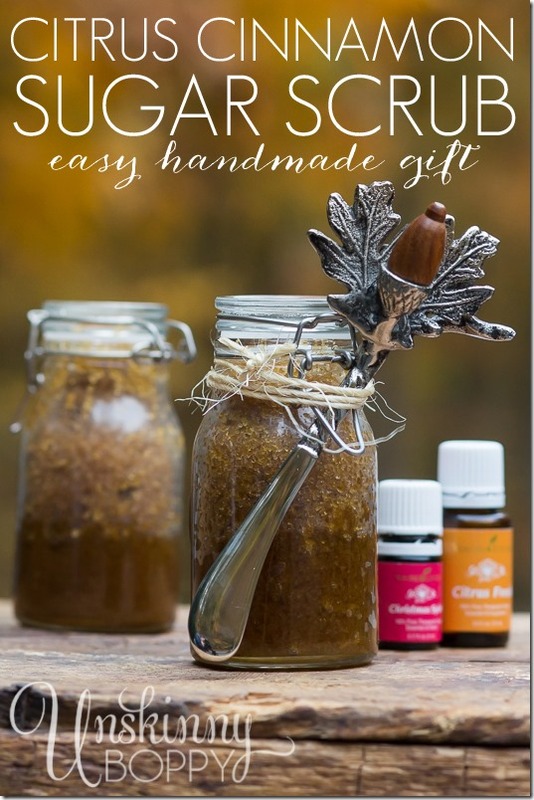 Thank you, this is something that I will definitely be making for neighbor gifts! I also watch the slide of your son. I wasn’t sure at first that it was of him, but when I came to the picture of him looking at the lighted Christmas tree, I knew for sure that it was him. It was fun seeing him grow. He’s a beautiful child. 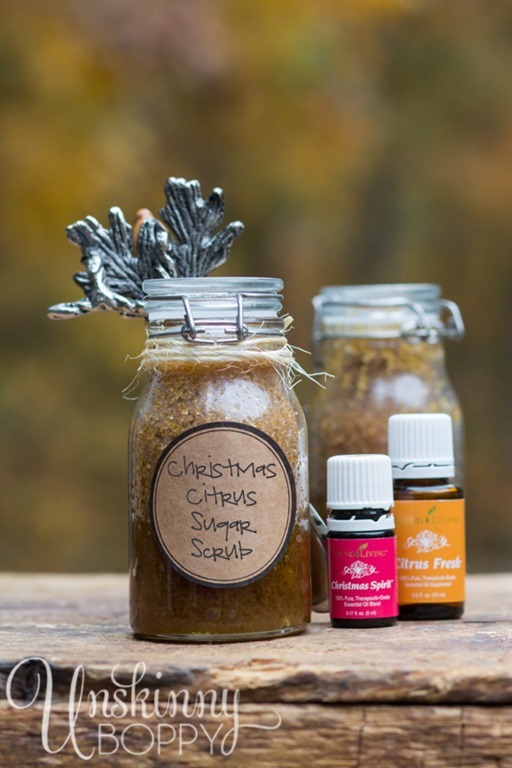 I hadn’t thought of putting Christmas Spirit with Citrus Fresh, but totally am going to make this SUGAR SCRUB for teacher gifts, along with a coordinating scented lotion bar and lip balm! Oh that spreader is perfection! I want to host you for something so you can bring this to me (and I can eat it) haha! This looks wonderful! Since there are no preservatives, how long does this last before going bad?